A gang of Afghan kids from the Kuchi tribe dig out old Soviet mines and sell the explosives to children working in a lapis lazuli mine. When not dreaming of the time when American troops finally withdraw from their land, another gang of children keeps tight control on the caravans smuggling the blue gemstones through the arid mountains of Pamir. In this seamless blend of fictional and documentary form, we experience a stunning cinematic journey into the beauty of war-tormented Afghanistan. Shot over seven years on evocative 16mm footage, first-time director Pieter-Jan De Pue paints a whimsical yet haunting look at the condition of Afghanistan left for the next generation. As American soldiers prepare to leave, we follow De Pue deep into this hidden land where young boys form wild gangs to control trade routes, sell explosives from mines left over from war, and climb rusting tanks as playgrounds—making the new rules of war based on the harsh landscape left to them. De Pue’s film confronts the visceral beauty and roughness of survival, serving as a testament to the spirited innovation of childhood and the extreme resilience of a people and country. Pieter-Jan De Pue is an independent filmmaker and photographer who graduated from the RITS Film Academy in Brussels. While directing commercials, he was concentrating on his first feature documentary, The Land of the Enlightened. 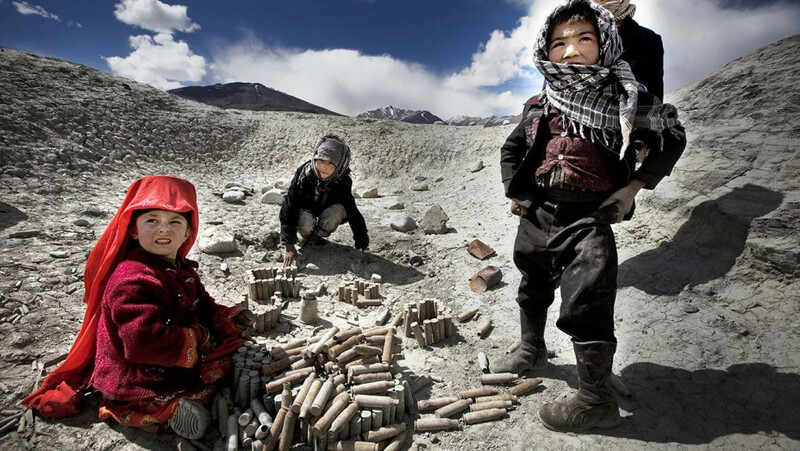 He has travelled for long periods of time in Afghanistan, photographing the country and its people for organizations such as the International Red Cross, Caritas International, the UN and international Demining organizations. His photographic work on Afghanistan and Central Asia has been published in Weekend Knack, Le Monde, DeMorgen, De Standaard, and has been exhibited in several galleries and museums such as Photo Museum Antwerp, deBuren in Brussels and the Institut des Cultures d’Islam in Paris. In between film and photo projects abroad, he has worked as a film director and photographer on several book projects and museums. Pieter-Jan is connected to the German photo agency LAIF. The Land of the Enlightened (2016).